Have you heard the news? It is not just about entertainment anymore. People want to be part of the journey of their favorite brands. It doesn’t matter if you represent yourself or a bigger entity online. Your fans expect at least three things from you: personalized connections, a caring attitude, and the ability to take the conversation further. The problem, though, is when you have to manage a community of millions of supporters. Some see it as a challenge and others as an opportunity. Gerard Piqué is part of the latter group. The FC Barcelona (and Spain national team) player knew that his nine million Twitter fans craved a lot more than news clips. So, his team, headed by Digital Strategist Alberto Guerrero, enlisted the help of Paper.li to create a hub that would reward his supporters with content that matters to them. The result of the partnership? Content Draft, a new feature we co-collaborated on with Alberto and Gerard’s team precisely to solve the problem that many communication professionals experience today: balancing the desire to tell a brand’s story through the voice of the community with the need for complete control over published content. At Paper.li, we believe our users know best what they need in terms of development to get their job done. We are excited to work with Alberto and Gerard, trendsetters in leveraging curated content as an official communication channel to tell a story and bringing fans closer together, and bring you the story. 1) Content Draft: What Is It? Content Draft offers users the service of the Paper.li algorithm to sort, filter and preselect content with the control of hand-picking which content makes it to the paper. Instead of pre-populating an online newspaper with content and placing it automatically online, users can select content from a Suggestion Queue and publish a new edition at their convenience. Activating Content Draft is easy: simply visit your Paper Settings Dashboard and switch the toggle to the ON position. Once activated, your daily or weekly automatic publishing schedule and updates will stop, allowing you to decide when you want your next edition to go online. Further, people will see the latest edition of your paper until you decide to manually publish a new one or resume auto-creation. Earlier this year, Kim Kardashian posted one of her wedding pictures on Instagram. Within a few days, more than 1.9 million people had liked it, which shattered the record previously held by Justin Bieber for most liked picture in the history of the social network. The number of likes is now at 2.4 million. It is a known fact that we want to see our favorite celebrities and athletes. Pictures and videos do not just tell better stories than words do, but it also makes us feel closer to those we admire. And, the icing on the cake, we have the ability to engage with them on social networks. We may even receive a response someday! 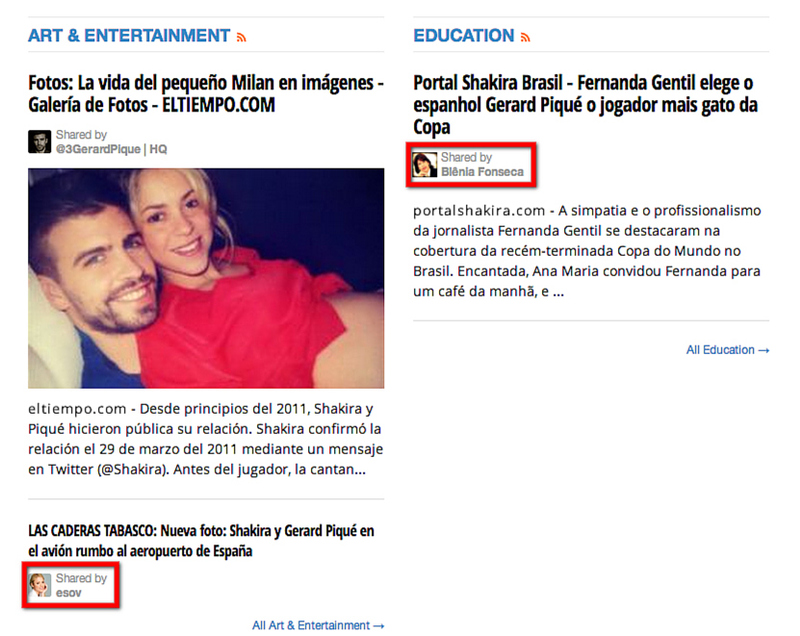 That is something Gerard Piqué understands well. With Content Draft, he can share his journey with his audience. For example, in the screenshot above, he is with friends and family. If you check out previous editions, you will see him in action, training and playing with his soccer team. When you hover over the pictures, social bookmarking buttons pop up underneath. It means that fans can easily share the content with others, hence continuing the conversation on Twitter, Google+, Facebook, and LinkedIn! Fans matter to Gerard. He wants the content that appears in his Paper.li paper to speak to them. It has to be as personalized and relevant as possible. The control of publishing via Content Draft has given his social media team the ability to do just that. Because the drafts are not visible to the public, Alberto’s team can hand select the content from the many sources Paper.li monitors, adding only the most relevant pieces to his latest edition. This is especially useful for surfacing and showcasing media mentions and interviews. If you look at Gerard’s paper, you will notice that each item shows the source and the name of the Twitter user who shared it. These appear on every paper (free and Pro versions). However, since there is a vetting process in place for Gerard’s, the result feels a lot more human! And, don’t forget the automatic mention feature for promotional Tweets. When enabled, it sends a notification to sharers with the name of the paper and link. What a way to show your supporters that you have noticed them! 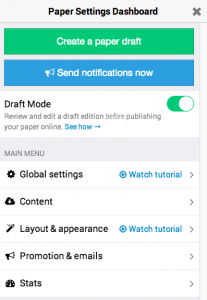 Now that you have enabled Draft Mode, the next step is to create your next edition in the form of a draft. This means that no one will see what you are doing until you decide to hit the “publish” button! From there on, use the bookmarklet to curate content. Just make sure that you select the paper that has “–Draft” appended to its name in your list. Otherwise the items will appear in your current edition. If you use sources (from RSS, Twitter, Google+, Facebook, and YouTube) these will also be automatically added. Browse suggested content (articles, photos, and videos) based on your sources for potential inclusion. Just click the “More suggested content” link in the green footer. Note that every edit you implement will be saved automatically. Ready to publish your masterpiece? Just click the “publish” button in the green footer of your draft and your new edition will be automatically promoted. 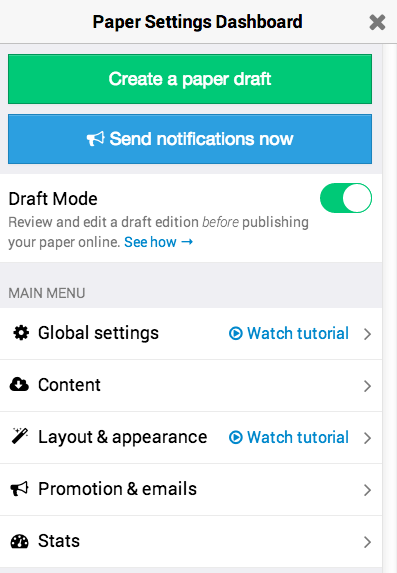 Note that if you have enabled Notifications Control you will need hit the “Send Notifications Now” in your Paper Settings Dashboard when you are ready. Et voilà! 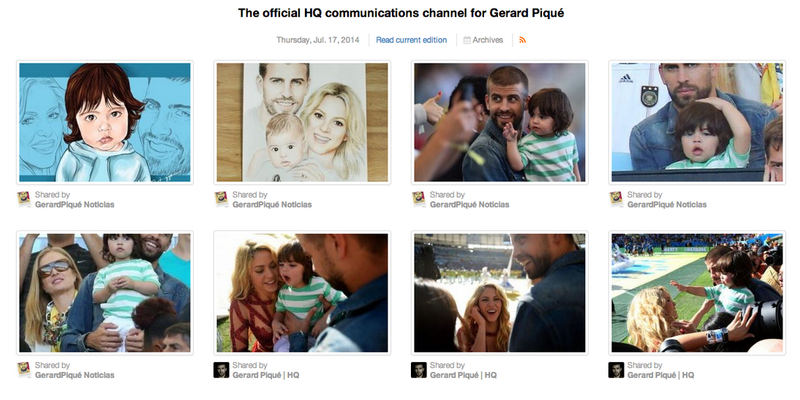 Gerard Piqué’s paper is not just any paper. It also is a moving platform, a living hub where fans can “meet” the athlete and family man on their own terms. This makes Gerard more approachable and transparent. By giving him complete control over the type of content that appears in his paper, the soccer player can humanize his brand in an easy way. 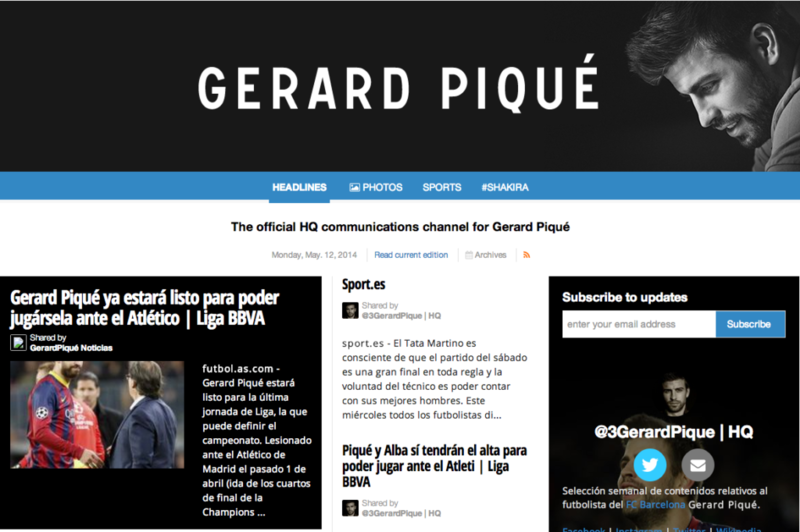 See for yourself at http://news.gerardpique.com/ and watch how you can create the next edition of your Paper.li by hand here.